When calling in the help of a caregiver to provide for your loved one, the caregiver can often seem to be more of a hindrance than of help to you and your loved one, causing more stress and problems for you and your family. The main component to eliminate or alleviate situations such as these is to incorporate an open, clear line of communication with your caregiver. In order to ensure that your loved one is receiving the most personal care possible, communicating your loved one’s needs, as well as your own, is key. After having been the primary caregiver for your loved one for some time, the idea of leaving your loved one alone in the trust of someone else’s care can be very distressing. In order to maintain optimal communication with your caregiver effectively to increase your own personal comfort and relieve your anxieties, there are several techniques you can implement to increase effective communication. It is important to keep lists of medications, emergency contacts, and daily regimes for you caregiver. As you have been the primary caretaker up until this point, you have been in charge of all aspects of care for your loved one. Provide your caregiver with a list of medications, as well as dosage information and time schedule for all medications that your loved one takes during the day. Keep a list of emergency contact information, such as doctor’s numbers and local neighbors, within view for your caregiver to reference. A daily schedule and regime is also helpful for your caregiver, so they are aware of when meals and snacks are provided, when rest time is essential, and when other activities are performed. Keeping your loved one on the same schedule as before when a new caregiver arrives, helps to create a smooth transition between you and the new caregiver. Also, give your caregiver a tour of the home and explain where all medications and necessary care giving tools are kept in order to ensure that necessary care giving duties will be performed. When hiring a personal caregiver, it is important to understand that their time is valuable. While a caregiver is provided to help you and your family, they still have to maintain their own personal lives and family responsibilities. 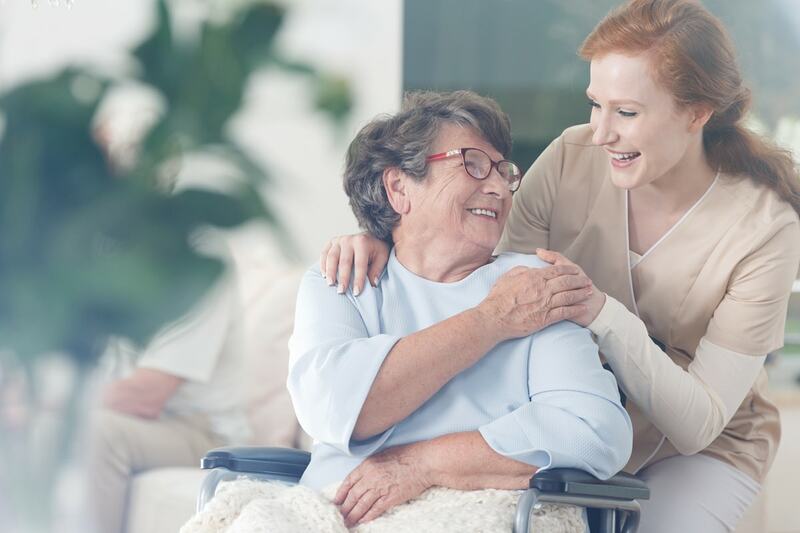 Caregiver burnout is common in today’s home care industry, and avoiding it is relatively difficult when the individual is consistently working with minimal breaks in between. When making requests for care, or asking specific questions about the care you are receiving, do so in a manner that shows you value and respect their time and services. When asking for extended hours due to unforeseen means or appointments scheduled outside of the caregiver’s typical working hours, request in a way that shows you value their personal time. Also, let your caregiver know that you appreciate the time and effort that they spend in taking care of your love one, as the job is never easy. Simple appreciation for the care that is provided can make all the difference in the relationship between you and the caregiver, as well as establish a connection that leads to your requests for care giving to be more positively received. While you are respecting your caregiver’s time spent with your loved one and the care they provide, it is important to not hesitate to inform your caregiver when you are uncomfortable with the way a given procedure is performed or a form of care is provided. Being upfront and honest is crucial for the safety and comfort of your loved one. Any discomfort you may experience regarding the way a care procedure is performed could either be due to a misunderstanding of that given care, or as it is not how you yourself have typically carried out the task in the past. Thus, open and honest communication with your caregiver, along with asking questions about procedures can prevent substantial disagreements from occurring in the future. Also, any changes you may notice in your loved one, whether positive or negative, must also be discussed with your caregiver. Positive or negative changes in your loved one’s condition should be discussed on a daily basis. It is a good idea to have daily check-ins with your caregiver at the beginning and end of their care. Inform them of any changes that may have occurred while they were off duty, and have your caregiver give you a report of your loved one’s condition and any issues that may have come up at the end of their care that day. For effective care and maintenance of your loved one’s condition, keeping open communication with your caregiver is essential. Remaining organized, respectful, and honest with your caregiver and never hesitating to discuss important matters can increase the overall care for your loved one. A caregiver can be a positive element in the care of your loved one if communication remains strong and both you and the caregiver on are the same page as far as the care plan being implemented. At A-1 Home Care Agency, we are available 24 hours a day, seven days a week to provide you with care services. We provide in-home care to Pasadena, Los Angeles, and Orange County. Give us a call today!